All 28 EU leaders will attend today’s meeting in Malta, with Theresa May to be excluded from the afternoon session. 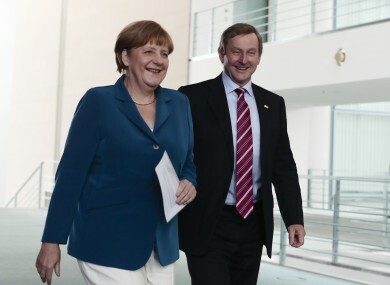 TODAY, TAOISEACH ENDA Kenny will attend an EU heads of government summit in Valletta, Malta. Donald Trump, Brexit and migration are set to dominate the agenda, with UK Prime Minister Theresa May set to be excluded from the second part of the meeting to allow other EU leaders to discuss the way ahead after Britain leaves the bloc. According to a government statement, the Taoiseach will “call for a balanced approach to the many challenges facing us”. He will also seek out certain EU leaders individually, to highlight and explain Ireland’s concerns arising from Brexit. This informal gathering is the latest in a series of meetings called since Britain voted to leave the EU last June. The first part of the meeting, which all 28 leaders will attend, will focus on the migration crisis amid warnings of a new surge in people making the dangerous sea crossing from Libya. “Our main goal for the Malta summit is to stem the flow of irregular migration from Libya to Europe. This is the only way to stop people dying in the deserts and at sea,” EU President Donald Tusk said in Valletta yesterday. Theresa May will miss the second part when the other 27 discuss the way ahead after Brexit, including a flagship summit in Rome in March to mark the EU’s 60th anniversary. With doubts growing over the Trump administration’s commitment to the transatlantic alliance with Europe, the leaders will also discuss “international issues” facing the union. The leaders will agree steps to stop migrants taking boats in the first place, including help for the Libyan coastguard and border forces, according to a copy of a summit declaration seen by AFP. With rights groups warning about terrible conditions caused by people smugglers, other steps include helping Libyan communities to host migrants and working with the UN refugee agency and International Organisation for Migration, it says. But talk of a Turkey-style deal with Libya is impossible given the chaos following the 2011 toppling of Moamer Kadhafi, while plans for processing camps for migrants outside EU territory are not yet “mature”, an EU official said. “This is a very difficult, complicated route but there is no alternative to trying. More and more people are dying, so the status quo is not sustainable,” the official said. The Irish government statement added that “developing our external migration policy, in accordance with international law and human rights principles, is a priority for the EU”. Email “Enda off to Malta for EU meeting but Theresa May set to be excluded”. Feedback on “Enda off to Malta for EU meeting but Theresa May set to be excluded”.